Facing a 7-2 deficit in the bottom of the 12th inning, with two outs on the board and his team all but certain to lose the World Series, Mets rookie outfielder Michael Conforto lined a hit to left field. In the grand scheme of things, Conforto's single was meaningless and just delayed Kansas City's celebration by a few minutes, but it may have played a bigger role for Conforto's place in history. By getting on base, he avoided being the final out in the World Series, and thus he staved off the fate of being shown on Royals highlight reels for all time. Of course this is all trivial in the end, but it still fascinates me how the final out of the World Series, and thus the last play of the season, gets replayed over and over when remembering past Octobers. The catcher hugs his pitcher, gloves get thrown around, and there is a whole bunch of running – which is exactly what again happened when the Royals clinched. 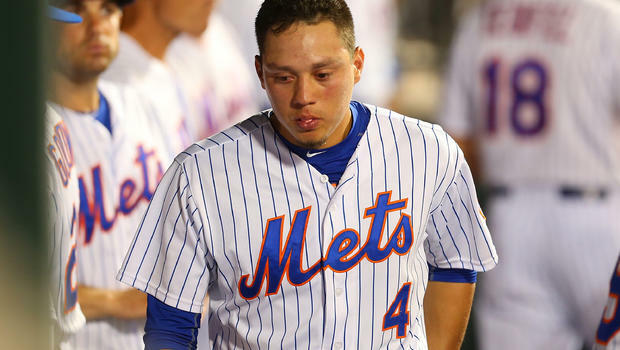 Instead of Conforto, the final scene was reserved for Wilmer Flores, who struck out looking against Wade Davis, with reserve catcher Drew Butera behind the plate after Salvador Perez had been pulled for a pinch-runner. This makes sure that Davis is added to the list of pitchers who finished off the title with a strikeout, while Flores will be remembered for more than just his tears in 2015. This got me thinking, how many World Series have also ended with a K? Do they tend to finish in dramatic fashion, or through routine plays? Where does the 2015 finish rank among World Series history? And this is why today we begin an examination of every World Series ending, working backwards. Today we will cover the whole Divisional Era, from 1995 to today, and try to find the trends in how every highlight reel has ended in this timeframe. For the fans of winning teams, it shall bring a ton of warm memories. Just to begin, let's take a moment to recognize that this list is full of some of the most iconic moments in recent baseball history. It includes curse-breaking titles for the Red Sox and White Sox in consecutive years, all of the Yankees dynasty and demise, and the improbable runs of the Diamondbacks and now the Royals. The walk-off hits deserve special recognition, as they both needed improbable comebacks and gave expansion franchises their first title. It is always better to remember them through video evidence. Here is Edgar Renteria extending Cleveland´s drought, and here is Luis Gonzalez needing a bloop hit in the same season he hit 57 homers. Speaking of Renteria, he is the only batter to appear twice on this list, as he won the Series for the Marlins and then came in as St. Louis' final hope as they were swept by the Red Sox. The Colombian shortstop will be remembered by this rare feat, and also by being the 2010 World Series MVP with the Giants. Speaking of the Giants, they are one of the 5 teams with multiple titles in the Divisional Era. In fact, these teams (Giants, Yankees, Red Sox, Marlins, and Cardinals) have combined to take 15 of the 21 available championships, but even with the short time between each title, only one of them was able to feature a repeat pitcher to close things out. Of course, that pitcher was the legendary Mariano Rivera, who was part of the World Series' final play in five occasions, including the famous 2001 loss. Despite his prolific strikeout totals, Rivera was never able to close out a series with a K, instead ceding some of the fame to his teammates by allowing a ball in play. Even as the World Series is always a showcase for baseball's best, the final at-bat of the 2000 Series is, by far, the biggest in terms of star power. Its three main participants, Rivera, Mike Piazza, and Bernie Williams, combined for a career 146.1 WAR. Nine clinching games were decided by one run, eight by two or three runs, and the rest by four or more. Despite this, there haven't been many stressful situations for the closing pitchers. Outside of the two walk-off finishes, there have been only 5 situations in which the tying run was on base as the final batter stepped up to the plate: 1996, 2005, 2006, 2008, and 2014. However, only one of them came in a deciding Game 7, when Salvador Perez came in as the potential winning run, only to succumb to Madison Bumgarner's October dominance. Speaking of Bumgarner, he is one of the three primary starters to appear on this list to finish the World Series. The other two were Adam Wainwright and Josh Beckett. However, Bumgarner came in for a long relief outing, while Wainwright was the Cardinals' closer in 2006. On the other hand, Beckett finished what Matt Harvey came awfully close to doing in Game 5 of this past Series. His complete game shutout of the Yankees, which included only 7 baserunners and 9 strikeouts. Finally, Drew Butera joins the ranks of the catchers who have received a final third strike to win the World Series. He may be the most non-descript name on our list, while Buster Posey is the only one to do it twice, which is part of his yearly tradition to celebrate something with a San Francisco pitcher.